The rugby ball is at the heart of all the action, with training the foundation for any match play. 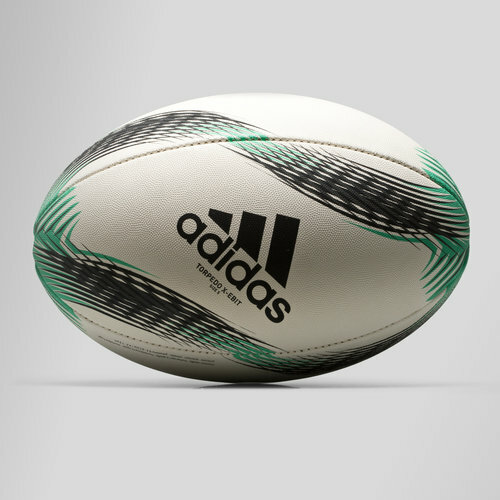 The adidas Torpedo X-Ebit Rugby Training Ball has been machine-stitched across the four panels with a dimpled surface designed to stand up to the demands of playing in all conditions. With a striking white, black and green look and swirling pattern, this ensures great on pitch visibility to track the flight of the ball with. As a size 5 ball it is full sized rugby making it best suited to U15s and above into senior rugby.